Should I Invest in a Dashcam for My Vehicle? In today’s increasing litigious society, dash-mounted cameras are becoming as important as cell phones and other automotive safety features. Dashcams offer a multitude of benefits and few drawbacks, and there’s never been a better time to have one installed in your vehicle. Roadside assistance can come in handy if you have a flat tire, your battery dies or if the vehicle has experienced damage that needs to be repaired. 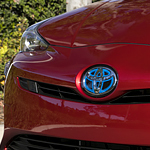 The Yaris features a Low-Speed Pre-Collision System. This system scans for potential frontal collisions. When this system detects a possible frontal collision, it will provide you with an audible and visual alert and activate braking assistance. 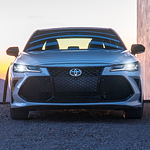 The Toyota Avalon is a favorite full-sized sedan. The Avalon continues its traditions of reliable performance, excellent economy, and roomy versatility. The latest changes add the Touring Exterior with its distinctive sporty-styling. The dark-colored grill has a unique shape, and it matches the dark-colored wheels. The double-tip dual exhausts give the rear panel a strong sports-car look. 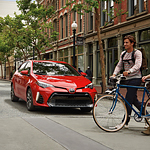 The Toyota Prius is a compact vehicle that stands out due to its hybrid capability and the great variety of colors the vehicle can be purchased in. However, the Toyota Prius is also known for having an outside look that will impress all drivers. 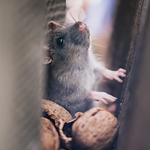 If you want to protect the investment that you have made by purchasing a new vehicle, you'll want to think about whether or not your vehicle is at risk of rodent damage. There are some simple steps that you can take to make sure you don't have any unwanted visitors making a home in your new vehicle. If you are looking to stand out when you go out, you have to drive the Toyota Corolla. This popular compact car offers everything you want in styling and good looks. It's a perfect marriage of sporty compact and excellent fuel economy.